No country has sold more Nissan LEAF per capita than Norway, with the world's first mass production electric vehicle taking 1.7 per cent of all vehicle sales in 2012, its first full year on sale. For the country has embraced zero emission mobility like no other. 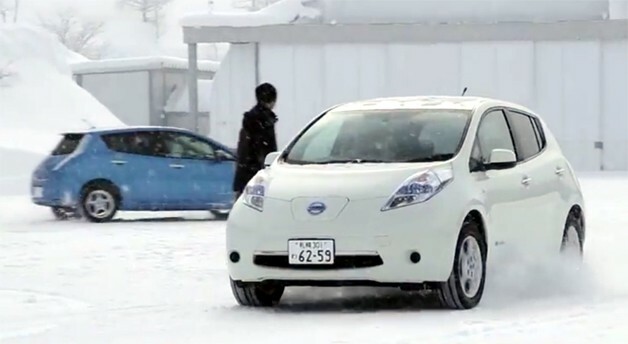 The multi-award winning Nissan LEAF was Norway's 13th best selling new car with almost 2,298 examples registered in 2012. More impressively yet, LEAF is the second best selling car overall in Trondheim, Norway's second largest city behind Oslo. In total, more than 3,300 units have been sold in Norway since the battery-powered electric car went on sale in October 2011 and last year was Nissan's second most popular model in the country, with sales just 599 units behind Qashqai. Part of the reason for its success is that Norway's five million inhabitants are among the most environmentally aware in the world and all have access to power created from renewable energy - hydroelectric plants generate 99 per cent the country's electricity, more than in any other country in the world. Sales of the Nissan LEAF have also been boosted by the incentives open to buyers and drivers of electric vehicles in Norway. There's no value added tax (VAT) on the car's purchase price and no road tax to pay. 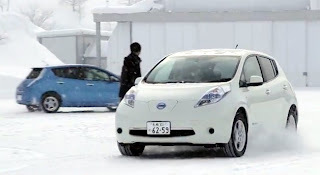 Toll roads, tunnels and ferries are mostly free to EV drivers while any driver commuting to work in an EV in Norway is allowed to use bus lanes: a typical rush hour drive might take as little as 20 minutes in a Nissan LEAF compared to over an hour in a conventionally powered car. The EV driver also benefits from free parking while dedicated EV parking spaces usually include access to a charging post... and the electricity is free, of course. Norway, in common with Nordic nations Sweden, Finland and Denmark, also has a growing network of Quick Chargers to allow EV drivers to tackle longer journeys. Quick chargers, which allow a depleted battery to be recharged to 80 per cent of its capacity in as little as 30 minutes, can be found in shopping malls and car parks. Reflecting the popularity of electric vehicles across the country, Norway is to receive 10 of the 400 chargers Nissan has pledged to give to European markets. In addition, a link has recently been established with McDonalds Restaurants, which will be installing Quick Chargers in its car parks, allowing EV drivers to recharge their car's batteries while they recharge their own, a blend of Fast Food and Fast Charging. Currently Norway has around 3,500 publicly-accessible AC normal chargers and 65 publicly-accessible DC quick chargers, and by the end of 2013 there will be more than 200 DC quick chargers across Norway, Sweden, Denmark and Finland. Norway has also seen some notable EV firsts, such as young mum Solveig Marie Ødegård who passed her driving test in 2012 behind the wheel of a driving school's Nissan LEAF. The real significance, however, is not simply that she passed her test in an EV, but that she has never driven a car powered by an internal combustion engine in her life. Her first car? A new Nissan LEAF, of course. Increasing EV sales mean there's a growing band of enthusiastic owners keen to compare notes with likeminded people so Norway has an active EV organisation with a lively discussion forum. Membership of the forum is included in the purchase price of every Nissan LEAF sold in the country. Nissan LEAF also took centre stage at a pioneering ‘hands-on' exhibition, Future:Today, that opened in Oslo in October last year at the start of a seven week Nordic tour across Norway and Sweden. Special guests included more than 200 Nissan LEAF owners, many of whom regard themselves as ambassadors for the car. As well as exhibits about Nissan LEAF, the forthcoming e-NV200 electric van and the benefits of zero emission mobility, Future:Today showcased the latest thoughts on city architecture and highlighted the city of the future... one where EVs will be the only vehicles allowed on the roads. There was also the opportunity for would-be owners to take LEAF test drives, as well as Nissan-backed live evening concerts for all-comers. "We, Norwegians live in a breathtakingly beautiful country and we are passionate in our desire to keep it beautiful. That's one reason why electric vehicles in general - and Nissan LEAF in particular - have become so popular," said Rune Haaland, president, EV Union. "But there is also a clear fiscal advantage to driving an EV as well as priority treatment on the roads. With an extended network of Quick Chargers being put in place we are confident that sales of Nissan LEAF will grow even more quickly in 2013," added Paal Simonsen, Nissan Country Manager in Norway.